The Heidenau all-wheather tires convince by their reliability in every situation. Those powerful year-round players features with groovy tread pattern towards the shoulders. This design improves water channeling capabilities enormously. The advanced tread compound ensures high mileage and outstanding wet grip. Roller tires / tire width: 80 mm / Lower cross-section: 80% / design: Diagonal tires / sustainability index: 43 / speed index: J(up to 100 km / h). 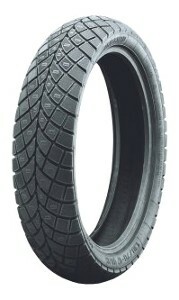 Allround Profile / full-year tyre.